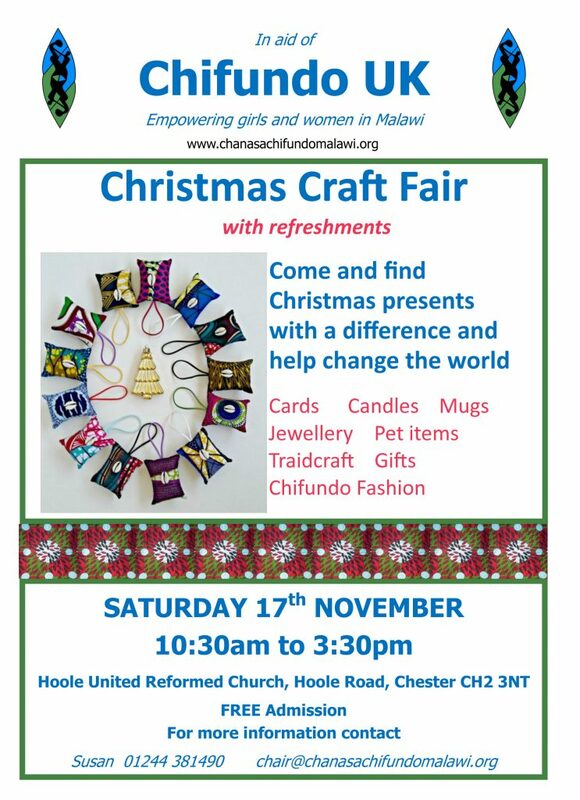 Craft Fair organised in aid of Chifundo UK, in support of their projects empowering girls and women in Malawi. Free admission. With refreshments. “Come and find Christmas presents with a difference and help change the world”. If anyone would like to book a stall for only £10 and sell crafts they are welcome. Contact 01244 381490.